There have been many people pretending they witness a sasquatch! What about this new sighting? Real? Hoax? Look and analyze the picture by yourself! 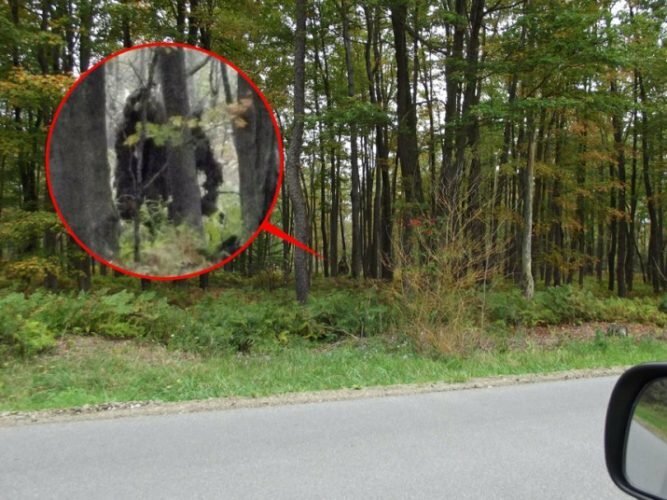 This photograph was shot by by John Stoneman near Bradford, Pennsylvania showing what he believes to be a bigfoot creature just yards from a main road in Kinzua State Park on September 21 2013. After analysis of all pictures, I believe its an uprooted tree! What about you? What about this other sighting? if there were 2 of them moving, i doubt its an uprooted tree!